PWM Solar Charge Controller ViewStar AU Series - KF Solar Tech Group Corp. 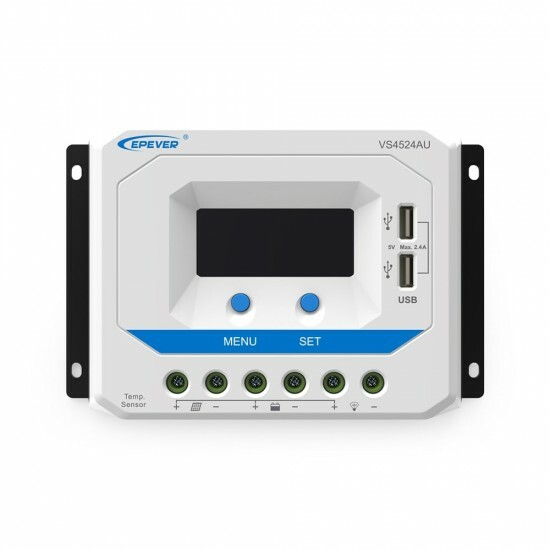 The VS-AU controller is a common positive PWM charge controller with built in LCD display and USB port. The multiple load control modes enable it can be widely used on solar home system, traffic signal, solar street light, solar garden lamp, etc.